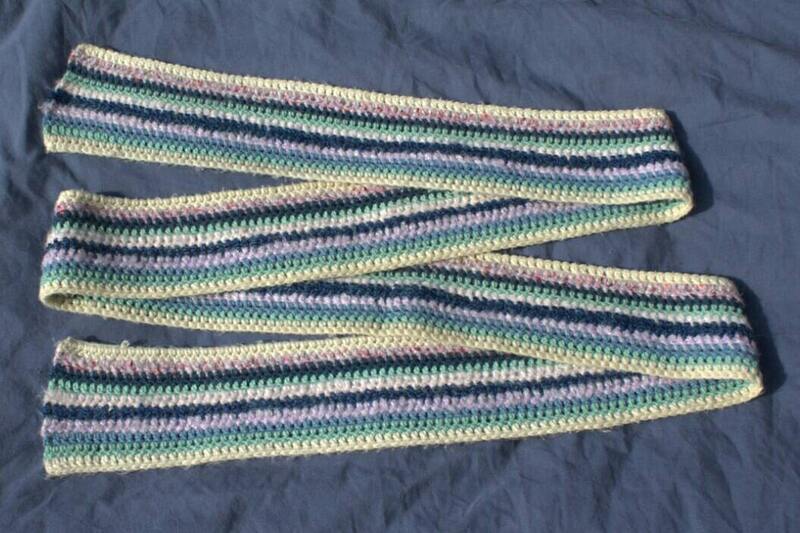 An extra-long hand crocheted scarf made with an acrylic blend yarn. 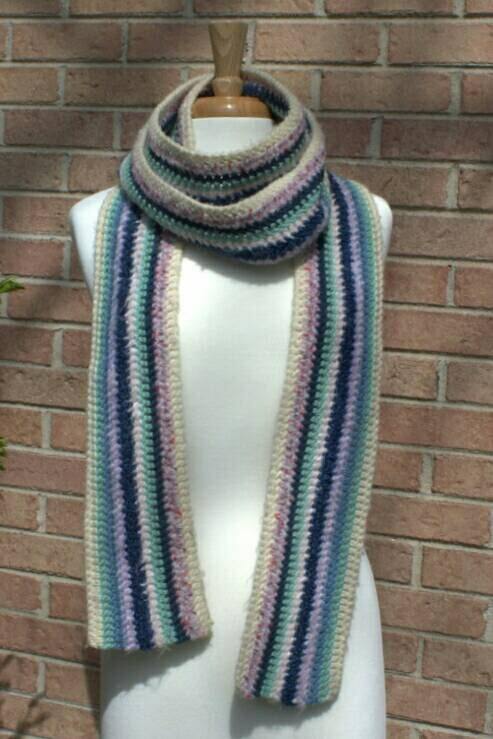 Featuring a pastel color palette and thick, warm yarn. 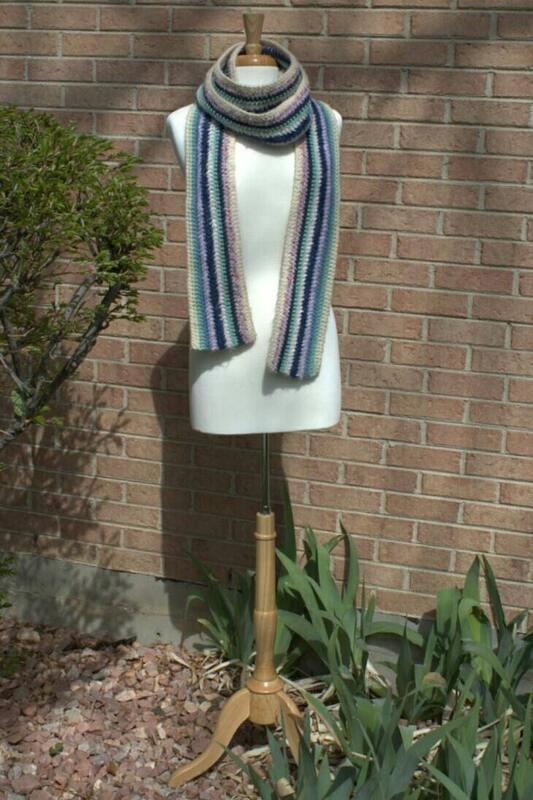 This scarf measures 5 in. wide and 112 in. long.